In Asia, from diplomatic tensions between Japan, China and South Korea, to peace agreements that have ended long-running conflicts, such as Aceh’s Helsinki Memorandum of Understanding, to on-going mediation efforts in Mindanao and southern Thailand, demands for justice have been far from absent. Yet, at the same time, Asia has received much less attention than Latin America, Africa and Europe within transitional justice scholarship. 1 This imbalance in the literature is unfortunate because when it comes to understanding how justice policies are both formulated and implemented Asia offers many important insights into transitional justice practice that are of relevance beyond the region. This contribution will explore how transitional justice, as a practice, can provide a template for addressing the legacy of atrocities, both historic and contemporary. Through three case studies: Japan, Aceh and Mindanao, it will observe that far from being a “one-size-fits-all” pre-packaged solution for dealing with the past, transitional justice takes on many different forms in different cultural, geographic and temporal contexts. However, before exploring these three transitional justice experiences, it is first necessary to define transitional justice. For many, transitional justice is defined by enduring images of dramatic criminal trials of former heads of states, or heads of armed forces, which hold individuals to account for serious violations of international law. While the symbolism of once powerful elites leaving courtrooms as convicted criminals is no doubt powerful, criminal justice processes alone do not define transitional justice. In fact, while courtroom encounters with former heads of states often dominate the headlines, transitional justice implies a much wider process of dealing with the past that goes beyond ordinary criminal justice. Indeed, the transformative impact of courtroom trials rapidly fades in the absence of other transitional justice mechanisms such as truth commissions, reparations or institutional reform. Of course rather than conceiving of the above list as a menu from which policymakers can choose when drafting transitional justice legislation, or implementing transitional justice measures, the United Nations emphasizes that transitional justice should be conceived comprehensively so as to integrate a full range of judicial and non-judicial processes. 3This means that transitional justice, to be effective, should include a wide range of both judicial and non-judicial processes, and not just focus on one or the other. Given the combination of a wide range of potential actors involved in transitional justice processes, often both domestic and international, and the wide range of policy and legal choices at play, it is not surprising that transitional justice assumes many different forms, and assumes different meanings, across a myriad of geographic and cultural settings. In addition, it is also important to take into account that different actors often have different visions of what they consider to be the goals of transitional justice processes. These goals can include truth-seeking, reparations for victims, accountability for perpetrators, or securing a sustainable peace so as to prevent a recurrence of human rights violations. Note that if an emphasis is put on truth-seeking, we may see transitional justice mechanisms that include a strong truth commission component, and put the question of criminal prosecutions to the side so as to encourage perpetrators to reveal their own roles in the commission of human rights abuses. What exactly are these norms and standards to which the United Nations refers? International law sets clear benchmarks for accountability, particular in relation to international crimes such as war crimes, crimes against humanity and genocide. 6 International humanitarian law and international human rights law constitute two bodies of law that limit the scope of amnesty laws, or laws aimed at preventing the prosecution of individuals suspected of commissioning or participating in human rights abuses or mass atrocities; however, this is not to say that amnesties in themselves are prohibited. 7 Quite the contrary, amnesties remain an important component of conflict resolution, both in Asia and beyond. Nevertheless, holding individuals criminally accountable for international crimes was a groundbreaking legal development that permitted the International Military Tribunals in Nuremburg and Tokyo, established at the end of the Second World War, to put Germany and Japan’s wartime leadership on trial for crimes against the peace. In relation to Asia, it is important to note that while the legacy of Nuremburg was embraced, as the “benchmark” against which future international tribunals would be judged, the Tokyo Tribunal’s legacy has been much less visible. 8 Yet, it is important to note that these post-Second World War legal developments eventually facilitated the establishment of the United Nations’ ad hoc tribunals for the former Yugoslavia and Rwanda, and later the International Criminal Court. From the above it is clear that transitional justice is both broad in the sense that it is inclusive of both judicial and non-judicial processes, and comprehensive in the sense that individual processes in themselves are unlikely to prove effective. Now that a broad understanding of transitional justice has been established, we can turn to Japan, Aceh and Mindanao. Japan’s Prime Minister Shinzo Abe’s visit to the Yasukuni Shrine in December 2013, and the international outcry that the visit provoked, 9 illustrate the persistent destabilizing impact of the legacy of the Second World War in Asia. However, Abe’s visit to Yasukuni is also a reminder of the need to see transitional justice as a comprehensive process that incorporates a wide range of mechanisms that are both judicial and extra-judicial. 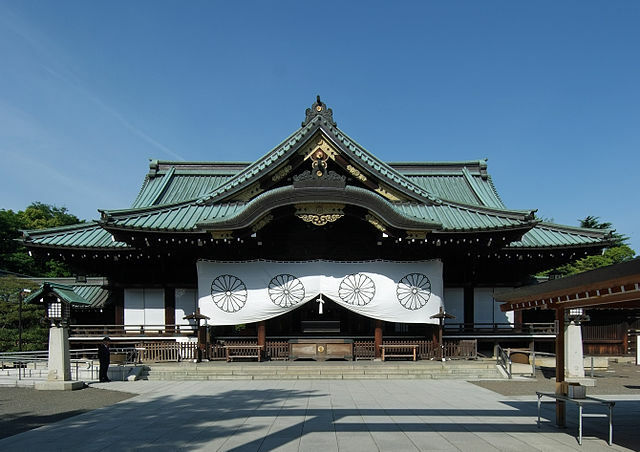 The Yasukuni Shrine is a site of memory for those who died in Japan’s many wars fought since the Meiji Restoration, but it is also a site of commemoration where Japan’s contemporary political leaders remember Japan’s war dead. Furthermore, the Shrine’s grounds also house a museum that offers a narrative of the Second World War in which Japan’s victimhood is emphasized, while victims of Japan’s militarism are forgotten. In sum, Yasukuni presents a narrative of the past that is deeply contested within Japan. Thus, Abe’s visit to Yasukuni provoked just as much condemnation and concern within Japan among those who recoil from the narrative of the past enshrined at Yasukuni, as it did internationally. Among those remembered at Yasukuni are members of Japan’s Second World War leadership, which includes individuals convicted of war crimes at the 1946 Tokyo Tribunal. The failure of the Tokyo Tribunal’s judgments to resonate with Japan’s public, or even more widely in East Asia, attests to the limits of criminal justice in achieving goals beyond the courtroom, particularly when ill carried out and ill designed. In the aftermath of the Tokyo Tribunal, for Japan, the question of how to remember those who died in a war that took place seven decades ago remains unresolved, and this absence of resolution plays out both domestically in the form of contested memories of Japan’s role in the Second World War, which oscillates between perpetrator and victim, and internationally, as Yasukuni comes to symbolize an unrepentant Japan to its neighbors. The Yasukuni Shrine presents a narrative of the past that is deeply contested within Japan. Japan’s transitional justice experience highlights the importance of sites of memory, commemorations, and even museums in confronting the legacy of a violent past. Increasingly, these practices have been acknowledged to be a key component of transitional justice given the powerful symbolism and narratives these sites evoke. 10 In the context of a region struggling to overcome more recent conflicts in Aceh, Mindanao, Myanmar, southern Thailand and East Timor, and growing inter-state tensions between Japan and its neighbors, a comprehensive reflection on the past on the part of Japan could allow Tokyo to confront questions of guilt and responsibility in the form of a serious debate on how Japan can address its own past. Such transitional justice initiatives, even in relation to historic crimes, can serve to both ameliorate diplomatic tensions with Japan’s neighbors and to strengthen Japan’s peace-building role in relation to difficult transitional processes in the region, such as in Aceh. The 2005 Helsinki Memorandum of Understanding (MoU) brought to an end almost three decades of conflict between the separatist Free Aceh Movement (GAM), and the Indonesian Army and laid the foundation for Aceh’s post-conflict autonomy within Indonesia through the Law on Governing Aceh. Yet, despite producing autonomous institutions of self-government that have endured to this day, the MoU failed to bring about any serious reckoning with Aceh’s violent past. 11 This is despite the fact the Helsinki MoU contained two articles that called for the creation of transitional justice mechanisms: articles 2 and 3. Article 2 contained provisions that were most closely tied to international legal standards for transitional justice noted earlier. Article 2.1 committed the Government of Indonesia to compliance with the International Covenants on Civil and Political Rights and on Economic, Social and Cultural Rights. And Article 2.2 called for the establishment of a Human Rights court for Aceh, while Article 2.3 called for the establishment of a truth and reconciliation commission for Aceh. As of January 2014, neither Article 2.2 nor 2.3 have been implemented. Aceh is a special region of Indonesia. It is located at the northern end of Sumatra. Its capital is Banda Aceh with a population of 5,046,000. In fact, it was only at the end of 2013 that Aceh took its first steps toward establishing a truth and reconciliation commission. Indeed, Aceh’s belated attempts to create a truth and reconciliation commission are now taking place in a context where local human rights activists argue “a small incident could easily light the fuse and trigger a renewed conflict”. 12 However, the truth commission currently under discussion contains noteworthy features. These include a focus on victim representation, its exclusion of combatants, and its proposed ability to recommend both material reparations for victims and potential criminal prosecutions for perpetrators. 13In the event the Aceh Truth and Reconciliation Commission is established along the lines of what is under discussion, it could serve to re-launch Aceh’s stalled transitional justice process and serve as a regional model for sequencing truth and criminal justice, with a truth commission first acting to establish facts related to past crimes before referring the most serious cases for prosecution. While both Japan and Aceh suggest that transitional justice in Asia has thus far attempted to avoid opening debates on guilt and responsibility in relation to past abuses and atrocity, justice demands are increasingly visible in relation to the on-going conflict in Mindanao. Even before the violence between the separatist Moro Islamic Liberation Front and the Government of the Philippines is brought to an end, debates on the content and design of post-conflict transitional justice for a post-conflict Mindanao are already well underway. Mindanao is the second largest and southernmost island in the Philippines. It is also the name of one of the three island groups in the country and has a population of 21.58 million (2007). Indeed, Article VIII(12) of the 2012 Framework Agreement on the Bangsamoro, contained a commitment to transitional justice, which noted “the Parties agree to work out a program for transitional justice to address the legitimate grievances of the Bangsamoro people, correct historical injustices, and address human rights violations”. 14 In order to address grievances, correct historical injustices and address human rights violations, any future transitional justice process for Mindanao will likely include components of reparation, memorialization, potential criminal accountability, and institution reform. Just what form transitional justice will take is already the subject of roundtables; however, we will have to wait until hostilities have been brought to an end before any serious attempt to deal with the legacy of the past can be made. Transitional justice processes seek to deal with the legacy of human rights abuses through judicial and non-judicial mechanisms. Transitional justice is a comprehensive set of policy choices that range from memorialization and commemoration to reparation, criminal trials, truth commissions, and institutional reform. Asia’s experiences with transitional justice attest to the fact that the region offers many lessons for transitional justice scholars and practitioners who seek to understand the impact of transitional justice mechanisms upon the complex relationship between justice demands, conflict resolution, and post-conflict peace-building. Japan’s difficulty in confronting its own past provides a cautionary note against failing to deal with the legacy of mass atrocity in the name of political pragmatism. Meanwhile, the centrality of justice demands in on-going diplomatic disputes among Asian powers such as China, South Korea and Japan, or in the context of internal conflicts such as in Aceh and Mindanao, all attest to the fact that transitional justice, in whatever form it may assume, will be an important part of on-going and future peace-building initiatives in Asia. See Christopher Lamont talking about the importance of transitional justice in Asia in this short video from the Peace and Human Security in Asia (PAHSA) website.